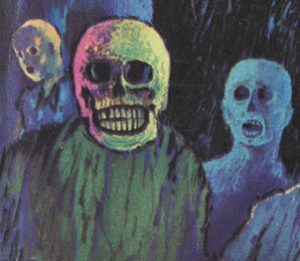 And this disease was called The Loneliness, because when you saw your home town dwindle the size of your fist and then lemon-size and then pin-size and then vanish in the fire-wake, you felt you had never been born, there was no town, you were nowhere, with space all around, nothing familiar, only other strange men. 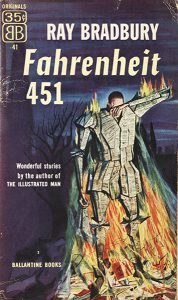 Part 1 of this post took a look at Ballantine Books in the Mottram collection, and how Ballantine championed the rise of the speculative fiction paperback in the 1950s. 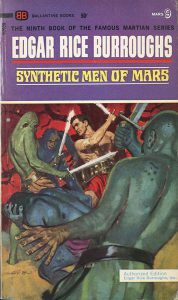 Professor Eric Mottram’s Ballantines included others in addition to Bradbury and Lovecraft, however: we hold Synthetic men of Mars, Edgar Rice Burroughs’s ninth Barsoom book (Bob Abbett’s typically colourful cover illustration depicts a lot of shirtless sword fighting), and the only published edition of The seed by Dan Thomas. The seed was one of only three science-fiction novels by Dan Thomas, a pseudonym of Leonard Sanders, who otherwise wrote thrillers and Texan historical fiction. Added to these, excitingly (and appropriately), is a rare 1968 printing of Childhood’s end, the iconic classic penned by King’s College London alumnus Arthur C Clarke – the Ballantine paperback is the eighth printing of the novel’s first edition, published in 1953. 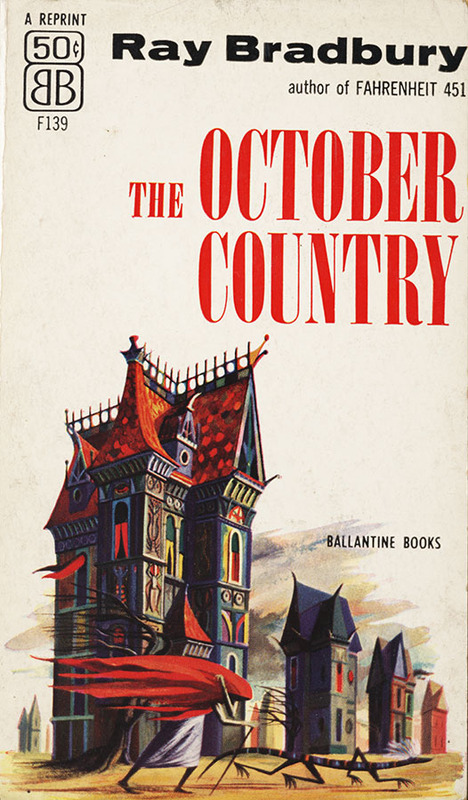 Ballantine were far from alone in the 1950s – ma ny other paperback imprints were also picking up on sci-fi. Brown, Watson Ltd in the UK had Digit Books, through which they published an array of spacefaring adventures and apocalyptic calamities. Held in the Mottram collection is a rare Digit Books edition of The space merchants, the still-relevant satire on 1950s advertising by Frederik Pohl and CM Kornbluth. 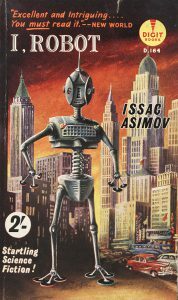 Kornbluth sadly passed away at the age of just 34, five years after The space merchants saw publication; Pohl, before moving onto editorial positions for magazines, had acted as literary agent to Isaac Asimov in the late 1930s, and we hold a rare Digit Books edition of Asimov’s most famous work, too: I, robot. 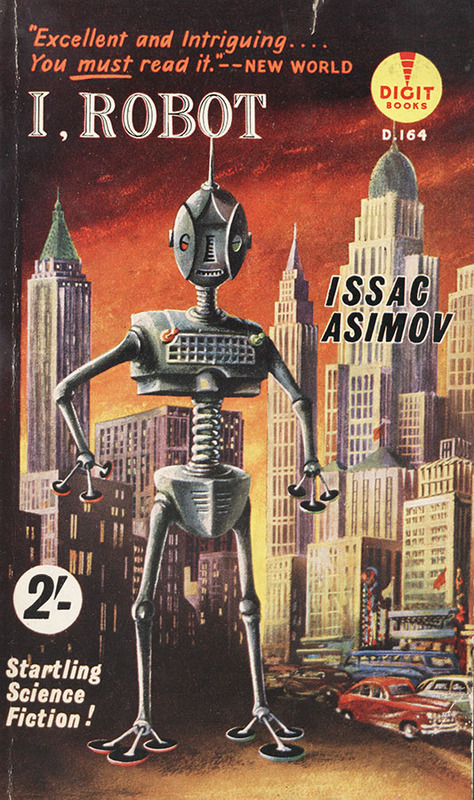 The front cover depicts a towering automaton just slightly different to those in the Will Smith movie, and Asimov’s first name is misspelt ‘Issac.’ Like Bradbury’s The Martian chronicles, this book is a ‘fixup’ novel, reworking earlier published short stories into a more seamless narrative – this edition of I, robot, however, excludes two of the stories from the collection’s original publication. 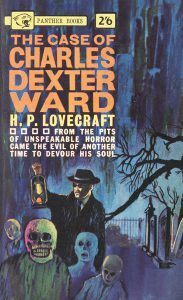 The New American Library ventured into sci-fi in the 1950s, utilising their previously established paperback imprint, Signet Books. 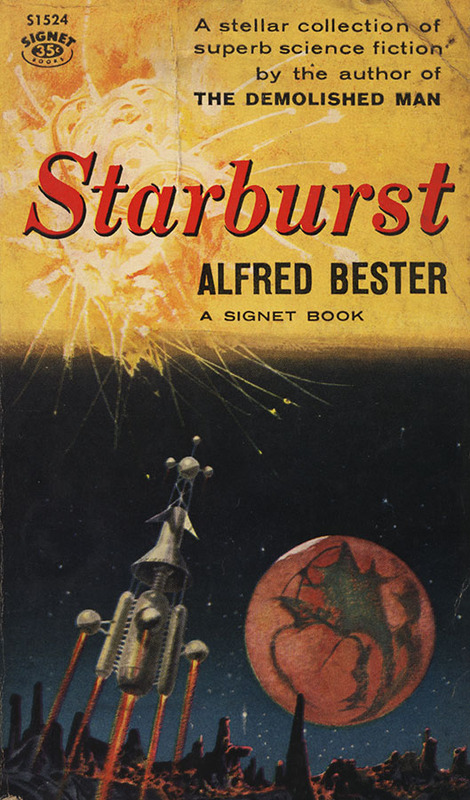 Both of our Signet Books are by Alfred Bester: a rare paperback of the very first Hugo Award winner, The demolished man, and a first edition of his 1958 short fiction collection, Starburst. The vivid, dramatic cover of The demolished man was painted by Stanley Meltzoff, who not only provided cover artwork for a number of other Signet science-fiction books, but who also painted for Life and National geographic. Sci-fi innovator of the mid-20th century, Robert A Heinlein, is also represented with two paperbacks in the Mottram collection, both from other publishers: a Berkley Medallion edition of Stranger in a strange land from 1968, and a Four Square edition of Starship troopers from 1961. 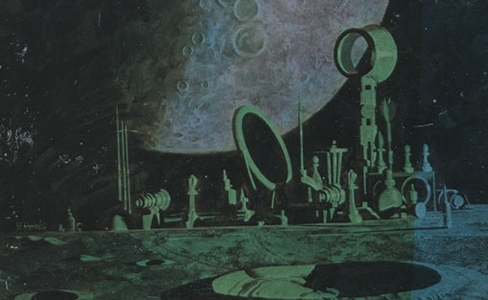 These are two of Heinlein’s most prominent works, with Starship troopers popularising the idea of the ‘space marine,’ to which concept modern science-fiction cinema and videogames owe a massive debt. Of all the authors featured in Mottram’s sci-fi, however, it is Samuel R Delany who is most present, with nearly 20 books. 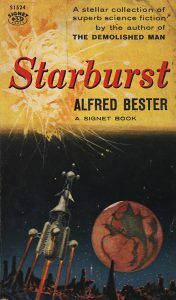 Whereas some of the science-fiction and horror mentioned thus far may have made it into Mottram’s library through various means, Delany is the writer that Mottram most perceptibly sought out – particularly as at least one of the books, Starboard wine, is a signed first edition. 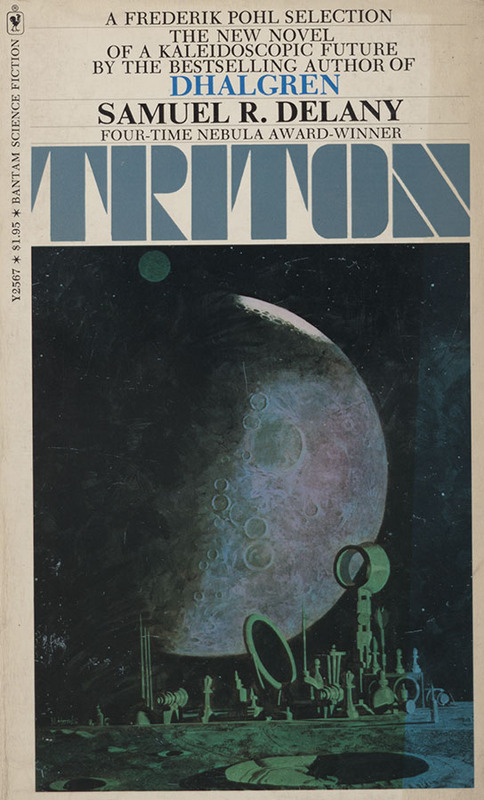 The ‘first novel’ referenced above, The jewels of Aptor, is a combination of science-fiction and fantasy, and the Mottram collection contains a 1971 Sphere Books edition. This edition contains the full, restored text – unlike William S Burroughs’s Junkie, edited by Ace Books in the 50s to remove and/or dilute overt references to homosexuality and drug-taking, the first edition of The jewels of Aptor was only trimmed to make room for its Ace-Double, Second ending by James White. 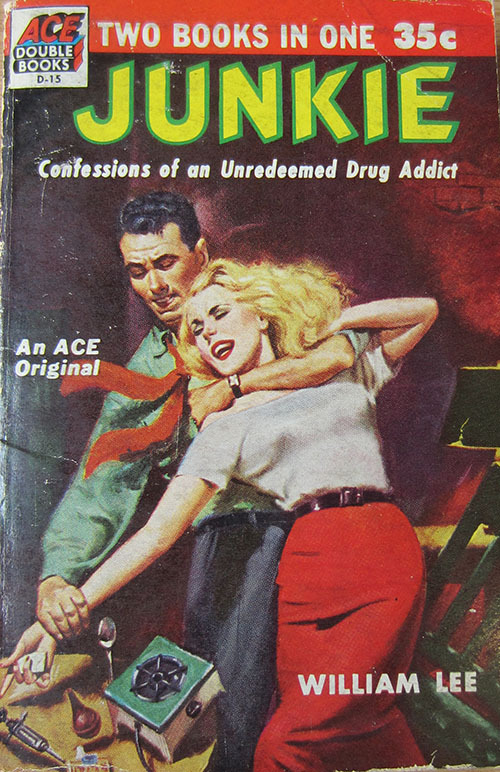 Had they still been his publisher into the 1970s, Ace would most definitely have found question with Delany’s more ‘explicit’ novels. Ace Books went on publishing Delany’s works (mostly as Ace-Doubles) throughout the 1960s, and Sphere Books continued to publish them in the United Kingdom later on – we hold Sphere copies of Out of the dead city, The towers of Toron, City of a thousand suns and The Einstein intersection, as well as Nova, which was first published by Doubleday. Completing Delany’s run at Ace, we also hold an Ace Book that compiles The ballad of Beta-2 and Empire star together. It is uniquely satisfying, in such an eclectic collection, to hold a complete run of something! In the 1970s, Delany published four novels, including some of his major works; we hold first editions of both Dhalgren and Triton – their celestial cover illustrations were painted by Mitchell Hooks, who provided art for a great many books and magazines, and who also designed the poster for Dr. No (look closely at the cover for Triton and you’ll see that the grand structures are actually household objects!2). From 1979 and into the late 1980s, Delany worked on a series of sword and sorcery stories, set in the land of Nevèrÿon. 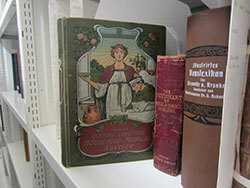 We hold the Bantam-published first editions of the first two Nevèrÿon publications: Tales of Nevèrÿon, and Neveryóna. 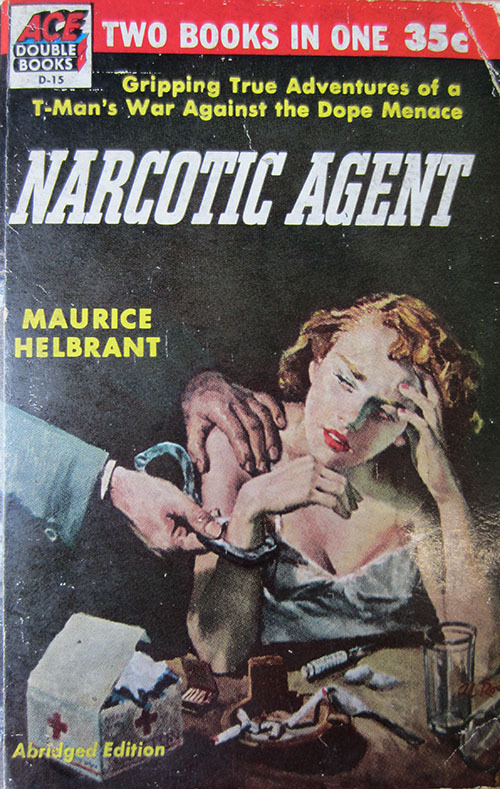 The cover illustrations for these are painted by Rowena A Morrill, one of a small number of women artists providing art for paperbacks at the time. 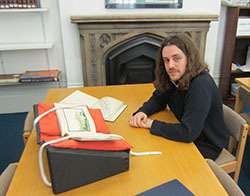 It is certainly an assorted mix of science-fiction and horror that Professor Eric Mottram collected – while the speculative fiction only makes up a small portion of the wider wealth of his other literature, plenty of the genres’ big names and titles are represented, and we have interesting copies of a mingled range of books. Nearly all of these are paperbacks. While many of the publishers and imprints mentioned here have since been absorbed by the larger publishing houses, their impact for speculative fiction at the time was unmistakable: Ballantine Books, Ray Bradbury’s early supporter, went on in the 1960s to publish a popular edition of The lord of the rings, and shortly after the company’s purchase by Random House, it published Star wars: from the adventures of Luke Skywalker, a novelisation of Star wars that made it to the public in November 1976 – six months before the film. All of the items mentioned, and many more, are currently being catalogued and formally added to our Special Collections holdings; we are happy to answer any enquiries pertaining to them (including arranging viewing) at: specialcollections@kcl.ac.uk. The cover illustrations for Synthetic men of Mars, Starburst, and Triton shown here are reproduced courtesy of Penguin Random House. 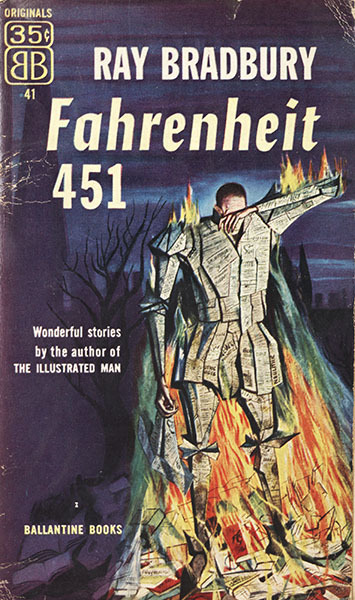 We have undertaken reasonable endeavours to trace the copyright owners of the cover illustration for I, robot; if you are the rights holder and are concerned that permission was not granted for this image, please see the King’s College London Notice and Takedown Policy at the bottom of this page, and the Archives & Special Collections Takedown Policy here. 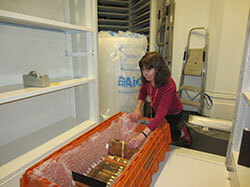 This blog post is posted on behalf of Shane Breynard, Director, Canberra Museum and Gallery. 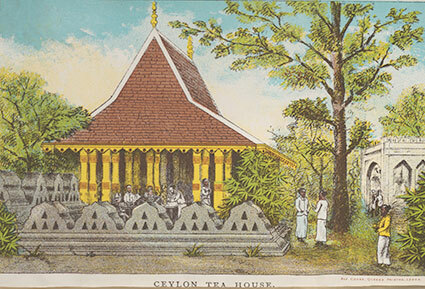 Peace, Love and World War: The Denmans, Empire and Australia, 1910-1917 was a travelling exhibition from Canberra Museum and Gallery shown in the Weston Room at the Maughan Library, King’s College London, from Monday 3 July until Monday 25 September 2017. In June 1911, a British family of four commenced the long sea journey from England to Australia. 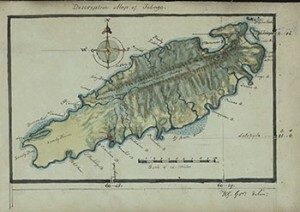 The two children, six-year-old Thomas and four-year-old Judith, travelled with their chaperones via the Cape of Good Hope. Their parents Lord (Thomas) Denman and Lady (Gertrude) Denman took a different and more direct route. Accompanied by their own sizeable retinue, they embarked from Marseille and took the searingly hot journey through the Suez Canal and Red Sea. Tom and Trudie landed in Melbourne in late July 1911 and were driven in an open-topped carriage from St Kilda Pier to Parliament House. The children were still at sea. One can only imagine the trepidation and excitement that this family felt during their ‘split-in-two’ journey across the world. After a spectacularly productive two years, an exhausted Trudie would return to Britain in 1913. Tom was back home, prior to completing his post, a year later in 1914. Australia’s fifth Governor-General and his wife had arrived at a critical time for the recently-federated Australia. National projects were underway in transport, industry, defence and trade and the country was also starting to develop its own cultural identity. 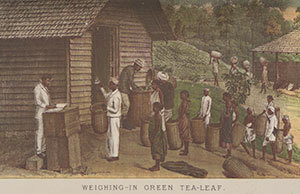 Now emerging from its role as a British colony, it was looking outward to gain more independence on the world stage. But, alongside this growing wealth and optimism, looking back, we also see the irony of the country’s crushing discrimination against Aboriginal Australians in this period. 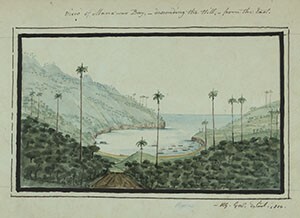 Recognition of this sad story, in the same frame as the happier one of the Denmans’ contributions, was to come much later in the history of Australia and its capital. The Denmans were far from being an aloof couple. They enjoyed great popular support while in Australia. Trudie contributed substantially to the success of Australian bush nursing and significantly to the National Council of Women. Lord Denman strongly supported the development of Australia’s defence forces and would become a lifelong advocate for Australia on his return to Britain. Canberra Museum and Gallery’s fascinating exhibition, Peace, Love and World War: The Denmans, 1910-1917, Empire and Australia, explores both the Denmans’ time in Australia and the period of their immediate return to Britain as it faced the prospect of world war. But it is for their role in the official naming of Canberra that the Denmans have come to particular prominence in the Australian story. The official ceremony took place on Capital Hill on 12 March 1913 at the laying of the foundation stones of Canberra’s commencement column. One hundred years later, in 2013, a highlight of Canberra’s centenary year was a toast to this earlier ceremony. It was preceded by reflections from cherished Aboriginal Elder Aunty Agnes Shea, from Prime Minister Julia Gillard, from ACT Chief Minister Katy Gallagher and from Governor-General Quentin Bryce. This conjunction of four of the nation’s most influential women as they reflected on our centenary, contributed of course to a highly resonant event. It not only celebrated the progress of Australian women over one hundred years, a story which Trudie herself would have greatly relished, but it also recognised the importance of Aboriginal Australians in our nation. On our centenary occasion, Aunty Agnes Shea asked those present to imagine the difference if, one hundred years ago, we had possessed the understanding we now have of the traditional owners of Australia, and of their connection to this ancient land. Importantly the event also presented a powerful echo-through-time. As a part of that distant ceremony in 1913 Trudie had the role of reading aloud, for the first time and to great applause, the official name of the new capital. Her strong and elegant articulation of ‘Canberra’ was henceforth adopted as the official pronunciation. Governor General Bryce, on repeating the word ‘Canberra’ with equal resonance 100 years later, explained her understanding of the word as ‘…a hybrid… which connects both Aboriginal and non-Aboriginal sources’. She claimed it as ‘a name rooted in traditions – of the land and of local communities’. 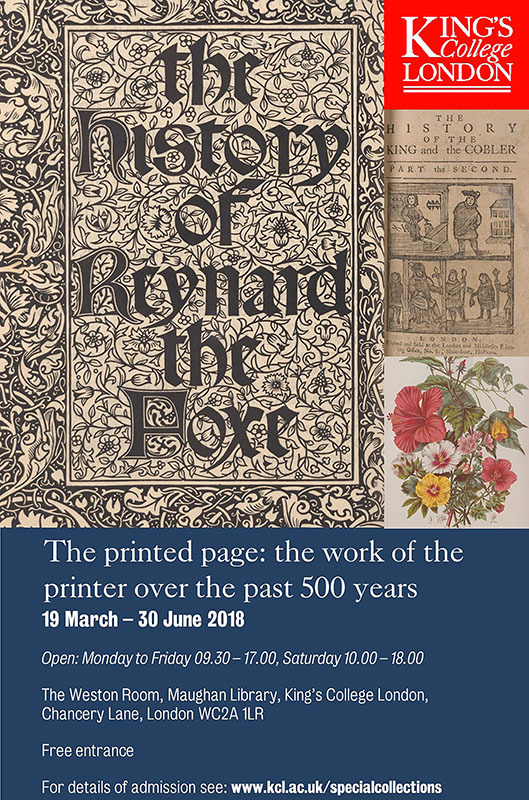 I encourage you to reflect on the idea of the ‘hybrid’ as you explore this wonderful exhibition, whether you visit it on site or online. We may come to share an important modern insight as we ask ourselves whether both national identity and personal identity are not both fundamentally hybrid at their core. Though the Denmans’ stay in Australia was but a short slice of a lifetime, their individual contribution shaped Australia’s national identity as much as their individual experiences of Australia must have shaped them personally. 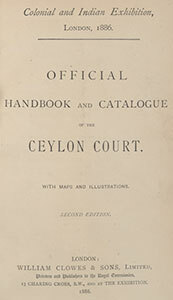 Their influence contributed to the way in which the British people would view Australia in the following period. Canberra Museum and Gallery is grateful to the many contributors to the exhibition: curator, Dr David Headon; the passionate and professional staff of King’s College London, particularly Katie Sambrook of The Maughan Library; the many institutional and private lenders; His Excellency the Australian High Commissioner to the United Kingdom Alexander Downer AC for opening the exhibition in London; Her Excellency the British High Commissioner to Australia, Ms Menna Rawlings CMG for opening the exhibition in Canberra; and sponsors King O’Malley’s, and Denman Prospect – a part of Capital Estate Developments. photographed at Government House (Melbourne) on the day of arrival, 31 July 1911. 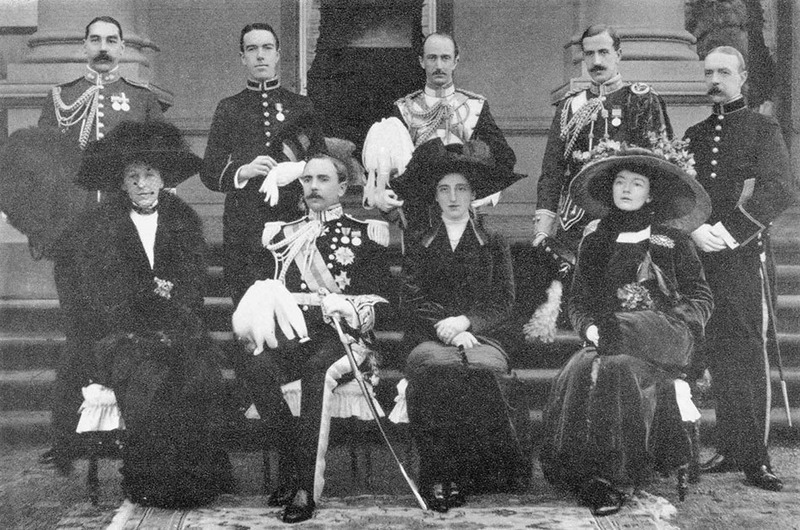 Lord and Lady Denman are seated front / middle; Lady Gladys Barttelot, Lady Denman’s Lady-in-Waiting, seated left; and Major Arnold Quilter, Lord Denman’s Military Secretary, standing left. I would love to have wandered around Fleet Street and this area of London’s alleyways and lanes before the banking corporations supplanted the newspaper offices and severed the unbroken link to the area’s printing history that had stretched back so many years. 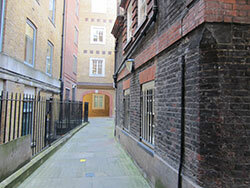 In the back streets of this historic centre of the British book trade, at addresses like Shoe Lane, Bow Church Yard and Red Lion Court, all a stone’s throw from the Maughan Library, small volumes of stories and fables and tales known as chapbooks were once printed – their geographical provenance enduringly visible through imprints like: Printed and sold at the London and Middlesex Printing Office, no. 81, Shoe Lane, Holborn. 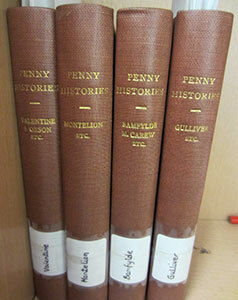 In my current cataloguing project I have been adding these little, well-thumbed volumes to the Special Collections catalogue. 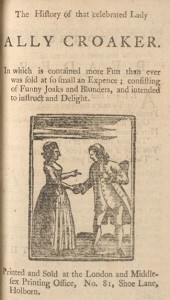 The chapbooks I have been working on were printed and produced in the later 18th century, though versions of chapbooks existed from the 17th to the 19th century. These were usually produced on hand operated printing presses in small industrial units, with family members sometimes employed at the stages of production. 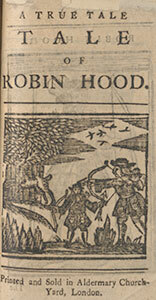 Chapbooks were normally printed on one single sheet of paper and then folded into 8, 12, 16 or 24 pages. They would usually have been sold unbound and held together by a simple sewing. When you walk through the narrow, high-walled alleyways around Fleet Street, Holborn Circus and St Paul’s (as I do often on my lunch breaks) it is not difficult to imagine the printers, workshop assistants, agents and delivery boys scurrying through the streets in pursuit of their occupation and living. As easy as it is to imagine these scenes of production, it is also no stretch of the imagination to imagine the itinerant ‘chapmen’, from whom the books take their name, bargaining with printers and agents, buying chapbooks wholesale, and then heading out of town with them tucked inside their bags, ready to sell to country folk at fairs and festivals. The soubriquet ‘chapmen’ derives from an Old English word meaning ‘dealer’ or ‘seller’. 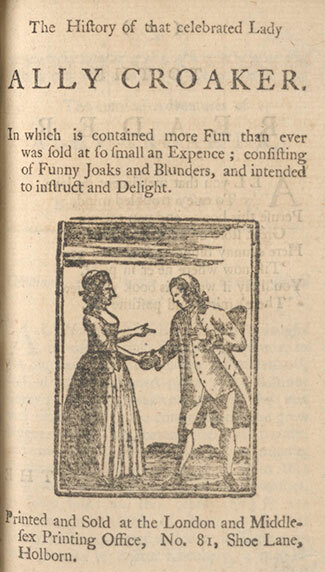 The tales are usually adorned with charming (and sometimes suggestive) woodcut illustrations. 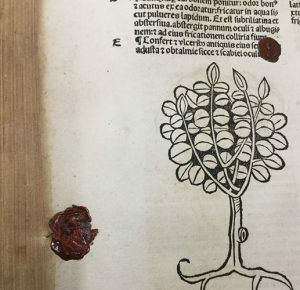 This was a cheap and durable method of illustration: woodcuts can be used for long periods and passed from one printer to another and, as Ruth Richardson says in her excellent British Library article on chapbooks, in the more expensive editions, children were sometimes employed to colour these woodcut illustrations. The chapbooks I have been working on were bound together in the 20th century by an independent firm on behalf of the Library. Each bound volume contains perhaps 10 or 15 of these wonderful tales on cheaply produced paper, that has evidently been thumbed through by readers of London or the country, and perhaps read aloud around a homestead fire as a bedtime treat for the family. I like these books because I can sense the mechanics of their production in the streets where I work. 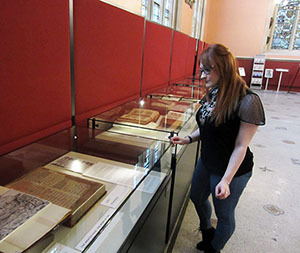 In the Foyle Special Collections Library we hold examples of works from the infancy of printing (known as incunabula) to the present day, with grand editions, illustrations and provenance marking many out as significant, unique and of immense value to researchers and historians. 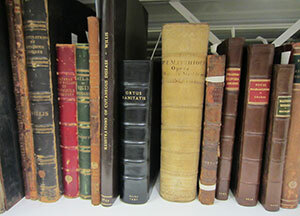 These chapbooks have their special place in the collection, and there is something wonderful about the mass appeal that they offered, with their eclectic subject content covering heroic tales, ghost stories, battle and adventure and news and politics. 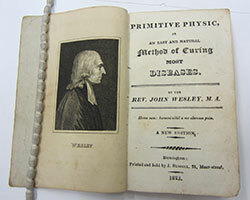 Their popularity is attested to by the well-thumbed pages, and also by the sparsity of detail on some of the imprints. 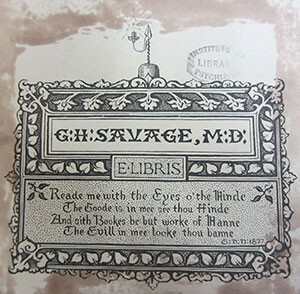 This lack of detail in an imprint like ‘Printed and sold in London’ suggests that some printers may have been none-too-keen to display that they themselves had also ‘cashed in’ on the popularity of a certain tale, with their anonymity ensuring the pirated edition would not be traced back to them. 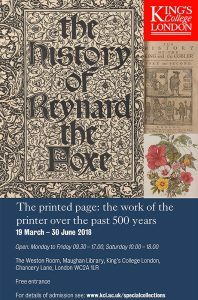 I have been reporting these editions to the English Short Title Catalogue (ESTC) to ensure they are accessible to researchers worldwide; and of course if anyone would like to have a look at these wonderful little volumes, they are welcome to consult them in the Foyle Special Collections Library.